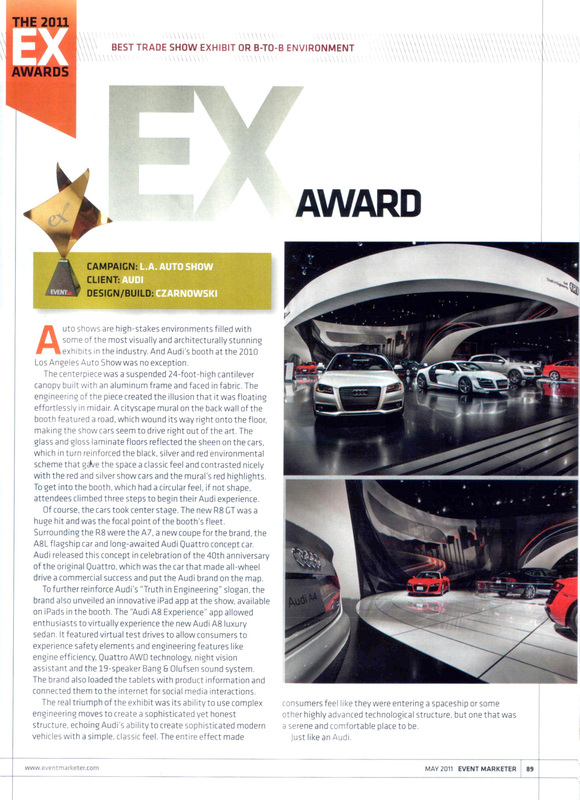 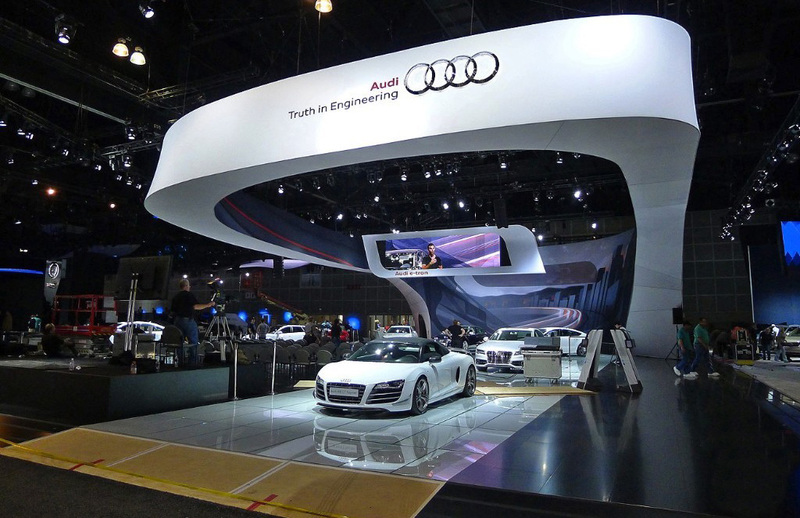 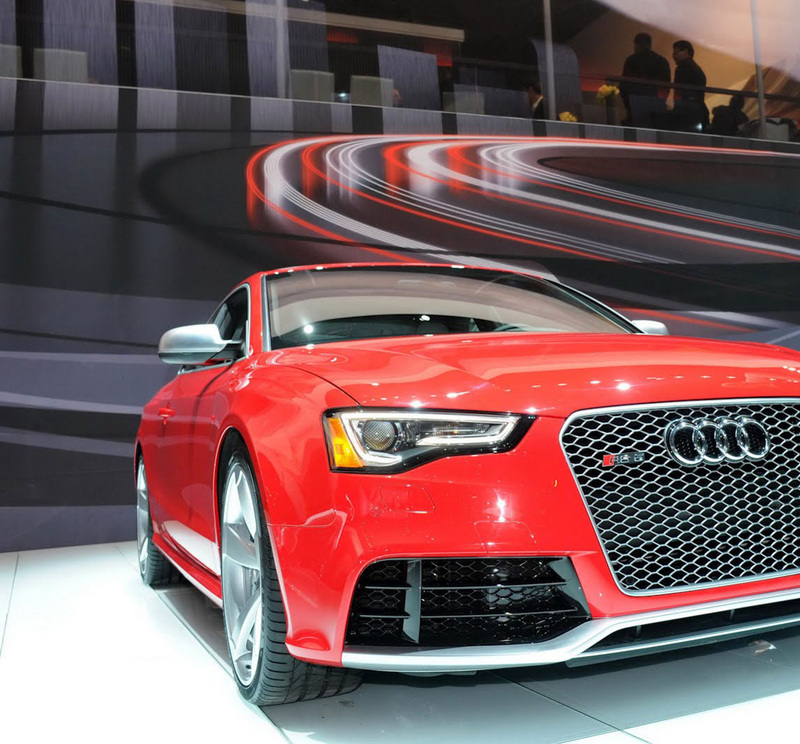 Audi is known for making bold impressions – and their 2010-2012 Auto Show Exhibit experience didn’t disappoint. 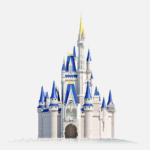 Working alongside the talented Orlando team at Czarnowski, I lead their forward-thinking graphic presence. 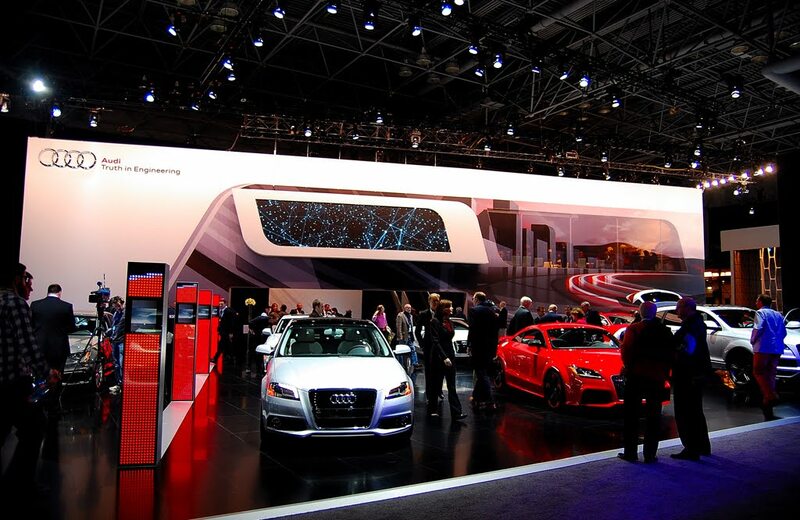 The unique concave nature of the exhibit provided a large fabric backwall that anchored the debut of their Audi Quattro Concept car, alongside their restyled A4, A6 and new A7 sedans. 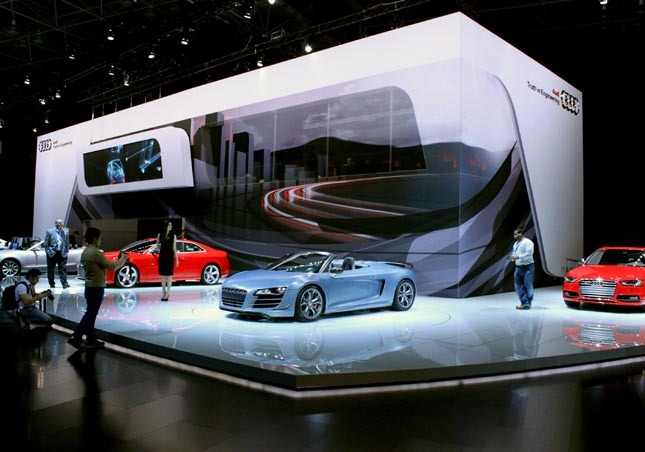 VIDEO: Audi Exhibit "How It's Made"
This Audi experience was designed to be implemented thoughout their North American Auto Show presence including New York, Las Vegas, and Detroit.